Virgil's works, principally the Bucolics, the Georgics, and above all the Aeneid, were frequently read, translated and rewritten by authors of the French Renaissance. The contributors to this volume show how readers and writers entered into a dialogue with the texts, using them to grapple with such difficult questions as authorial, political and communitarian identities. Rather than simply imitating them, the writers are shown as vibrantly engaging with them, in a "conversation" central to the definition of literature at the time. In addition to discussing how Virgil influenced questions of identity for such authors as Jean Lemaire de Belges, Joachim du Bellay, Clément Marot, Pierre de Ronsard and Jacques Yver, the volume also offers perspectives on Virgil's French translators, on how French writers made quite different appropriations of Homer and Virgil, and on Virgil's reception in the arts. 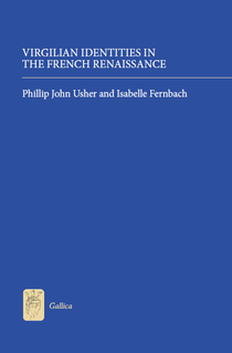 It provides a fresh understanding and assessment of how, in sixteenth-century France, Virgil and his texts moved beyond earlier allegorical interpretations to enter into the ideas espoused by a new and national literature. "This is a beautifully produced, illustrated volume in Sarah Kay’s ongoing series of monographs and essay collections on medieval and Renaissance French literature and the arts. [...] Lovers of the poet of the three modes will want to ensure that they do not neglect this important contribution to the study of the intertext between Virgil and the art and literature of one of France’s most justly celebrated centuries. The volume and series editors are to be congratulated for an achievement that will, we may hope, encourage Virgilians to investigate more closely the literary and artistic treasures of the le moyen français."